Even in the best of times, golf is a poorly understood game. 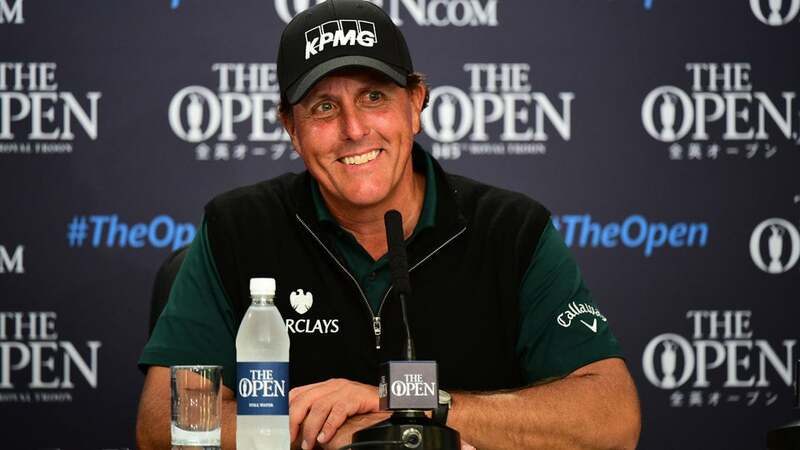 For Phil Mickelson, 46, and three years removed from his last victory, the first round of the 145th British Open at Royal Troon on Thursday was exactly that, the best of times. And yet he felt dizzy. Hurt. Confused. "It was one of the best rounds I've ever played and I was able to take advantage of these conditions," Mickelson said, "and yet I want to shed a tear right now." Most sports have some version of the so-called white whale. It's the four-minute mile (track), or 12 straight strikes (bowling), or the "perfect game" (baseball). Golf's version of this, shooting 62 in a major, as Mickelson would have done had his 16-footer for birdie fallen at the last hole Thursday, hadn't been done. Ever. Mickelson's birdie try looked good all the way and entered the cup on the right half, but then spun hard around the back, exit stage left. The golf gods had spoken just as they'd spoken when Nick Price and Tiger Woods lipped out for 62, and when Jack Nicklaus botched a three-footer, and when Greg Norman three-putted the 18th hole. At least that was the opinion of many. Others objected, saying the ball just does funny things. Louis Oosthuizen aced the 14th hole Thursday on the way to a 71, and Patrick Reed holed out for eagle at the third and shot five-under 66. Meanwhile, No. 1 Jason Day shot 73, not as good as 53-year-old Colin Montgomerie (71). And Shane Lowry, who held the 54-hole lead at the U.S. Open four weeks ago, slumped to a 78. Mickelson, who has five top-five finishes in a winless 2016, fired a final-round 66 to close the Scottish Open last week. He was third at the 2004 Open at Troon. None of these things suggested he would get as hot as he did Thursday, when he went out in four under and then matched that score on the much tougher back nine. This was not the same guy who missed the cut at the Masters and the U.S. Open at Oakmont, where he squirmed while answering questions about being part of an insider-trading investigation. This Mickelson said he realized he could shoot 62 if he birdied the last two holes. The only problem, he said, was that the 220-yard, par-3 17th hole, Rabbit, is a brute. Undaunted, he laced a 4-iron to 15 feet and made the putt, setting up the drama at the last. After going with 3-wood instead of driver on 18, and hitting the fairway, he hit his approach to birdie range. "You know this is for 62?" playing partner Ernie Els said as he and Mickelson walked up 18. 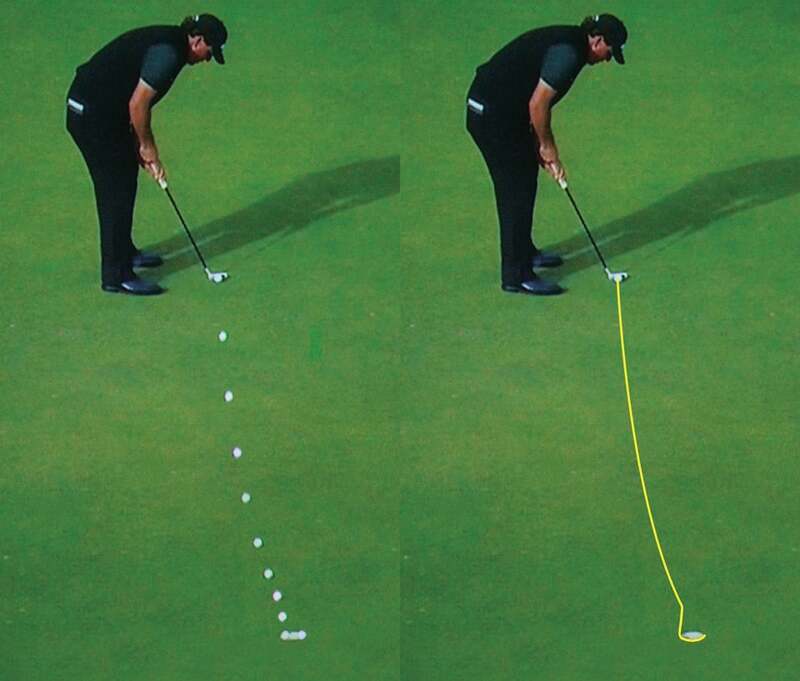 "I know," Mickelson said. "Why do you think I held onto that drive?" On the green, Els putted out first even though Mickelson had the honor in order to clear the stage. Alas, Mickelson's birdie try seemed to hit something that knocked it off line. "I don't know how it didn't go in," playing partner Lee Westwood (71) said afterward, speaking for many. "Must have been a goalkeeper in there." And so Mickelson becomes the answer to a golf brain teaser: An aging Hall of Famer, playing in his 23rd Open, shoots a course-record 63 in the first round, his best round since the final-round 66 he shot at Muirfield to win the 2013 Open. He hits 79 percent of the fairways, 89 percent of the greens and takes just 26 putts. And yet he has mixed feelings. Why? Because he should've taken only 25. "The way he played out there today, it's amazing he's only won one Open Championship," said Els, who shot 71 despite making a double bogey 6 from the middle of the 11th fairway. "It was beautifully played. He was in total control of the ball." Had you told Mickelson he'd end the first round with a three-shot lead over Martin Kaymer and Patrick Reed and a four-shot lead over a logjam of players that included Americans Keegan Bradley, Tony Finau, Billy Horschel, Steve Stricker, Justin Thomas and defending champion Zach Johnson, well, you'd better believe Mickelson would have gladly taken it. And yet. "It really stings to have a chance," Mickelson said. "It's such a rare opportunity to do something historic like that and to—I mean, if I had just hit a weak flail-off and never had a chance and left it short, so be it." Someone asked if he believed in the golf gods. "I didn't," he said, "but I do now."